Legendary jasmine is a sensual delight, and is one of the principle oils used in perfumes and ointments for dry sensitive skin. 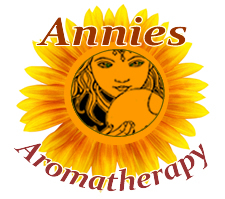 In aromatherapy, jasmine absolute oil in used to uplift the spirits in cases of apathy, depression, menopausal disorders, and lack of confidence. A legendary aphrodisiac, jasmine's sweet scent has a profound effect on frigidity and impotence. It can relax the mother and help relieve the pain of childbirth and is thought to increase breastmilk. 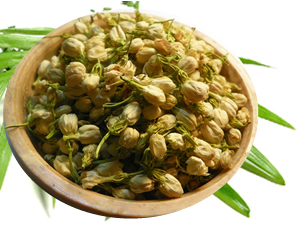 Preparation Methods & Dosage :Jasmine absolute oil is used in aromatherapy and perfumes. 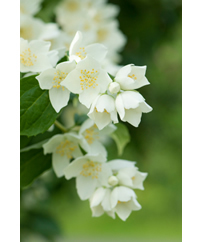 Jasmine is a very powerful fragrance with a full, rich, honey-like sweetness. Jasmine oil works primarily on the emotional level as an anti-depressant and produces a feeling of optimism, confidence, and euphoria. It is most useful in cases of apathy or listlessness. The jasmine plant is a creeper, with white or yellow flowers. it is cultivated in Algeria, Morocco, France, China and Egypt, the French oil is the most expensive. Great expense goes into producing pure jasmine oil. The pinwheel-shaped, dainty, white flowers grow in clusters on the woody stalks of the shrub, and yield a surprisingly dark, viscous oil. For each ounce of oil to be extracted, forty pounds of flowers must be picked -- before dawn, when jasmine is at its aromatic peak. The flowers are too delicate to be put through the distillation process used for most essential oil extractions. Instead, special methods are used to obtain the absolute -- which is more concentrated than essential oils. True Jasmine, Jasminum officinale, has oval, shiny leaves and tubular, waxy-white flowers. Do not confuse with False Jasmine or yellow jasmine, Gelsemium sempervirens, which has a similar fragrance, but contains toxic alkaloids that are extremely poisonous, and can cause death. Jasmines grow well in moist, well drained,soil and prefer full sun to partial shade and a warm site. This night blooming fairy vine encourages the magic of the evening - mystery, love, psychic dreams, and enchantment.The Hindus string the flowers together as neck garlands for honored guests. The flowers of one of the double varieties are held sacred to Vishnu and are used as votive offerings in Hindu religious ceremonies.